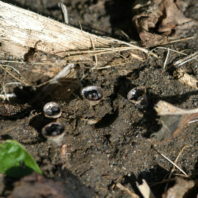 Fruiting bodies of a bird nest fungus. 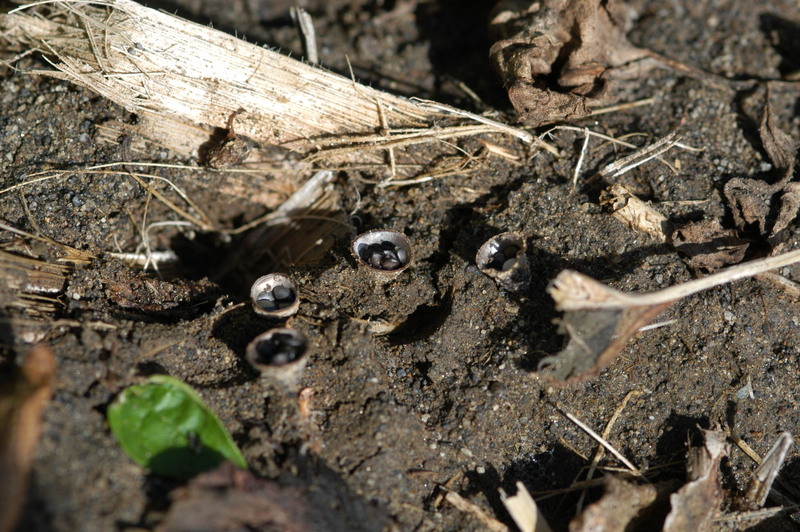 Do not confuse with apothecia of Sclerotinia. 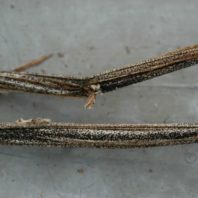 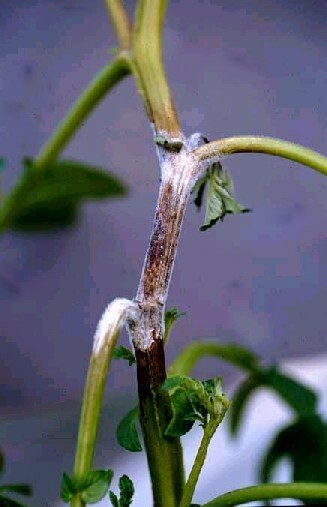 Sclerotinia lesion on the inflorescence stalk of a potato plant. 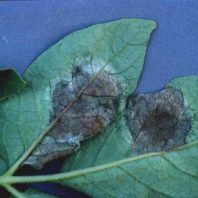 The infection originated from a blossom contaminated with an ascospore. 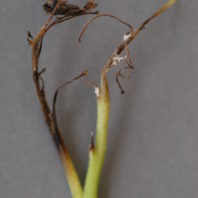 The ascospore germinated and mycelium reached the stalk before the blossom dropped. 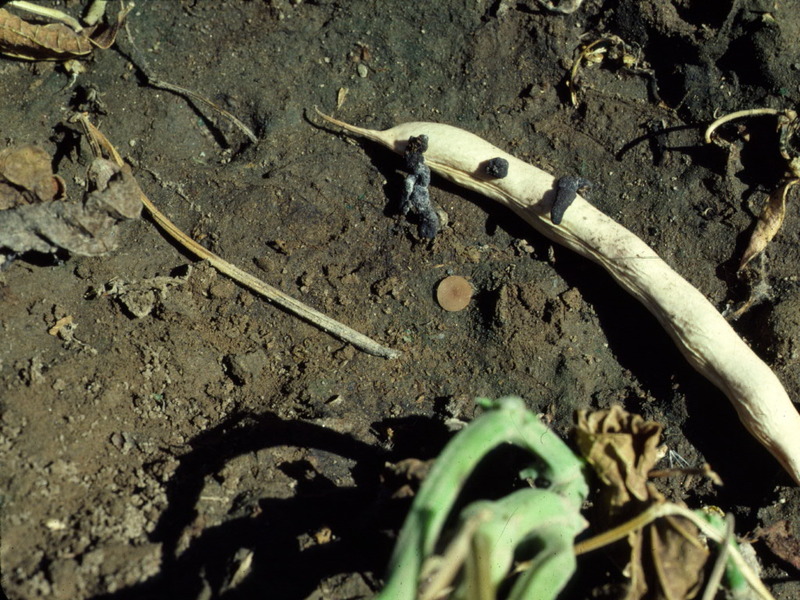 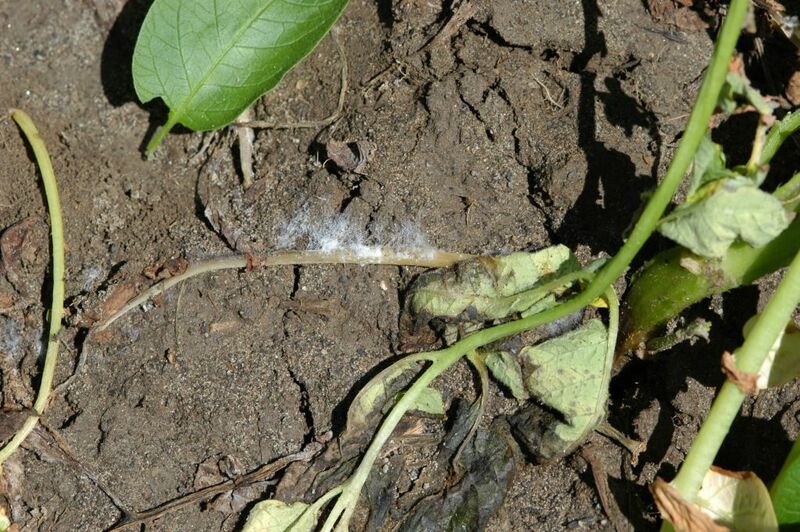 An apothecium on soil and sclerotia of Sclerotinia sclerotiorum on a bean pod. 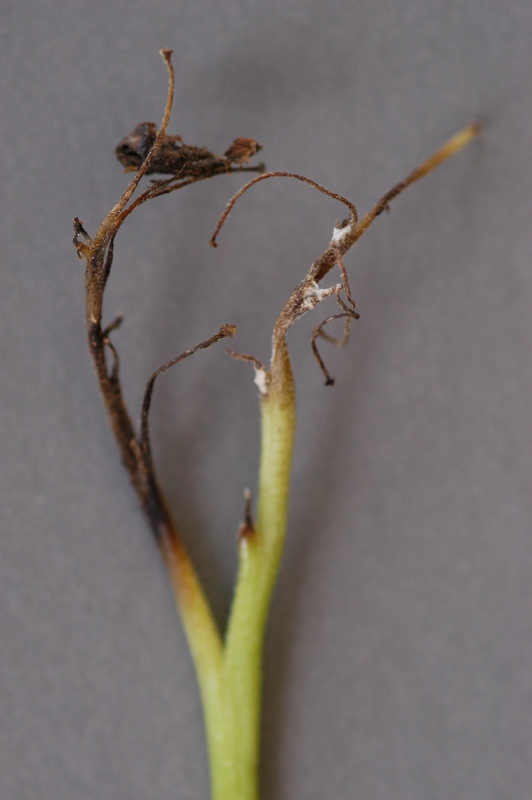 Mycelium of Sclerotinia sclerotiorum growing from dead potato foliage forming a mycelial mat on the soil surface. 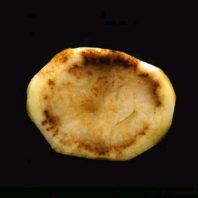 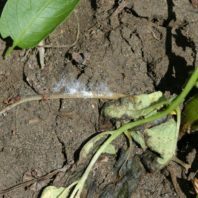 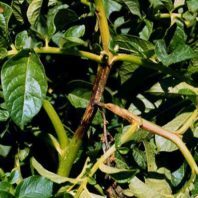 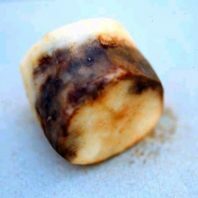 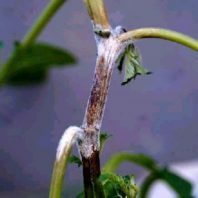 Any green potato foliage that may become lodged on the mycelial mat will become infected if sufficient moisture is present. 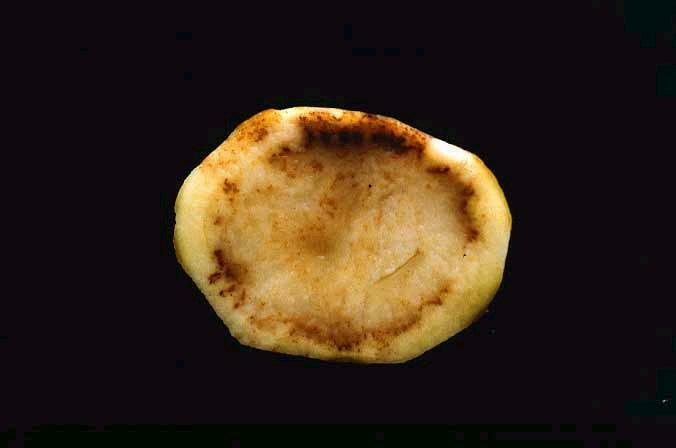 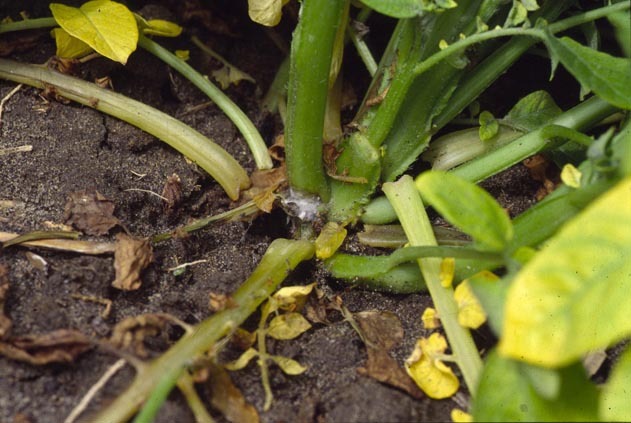 Sclerotinia lesion at the base of a potato stem. 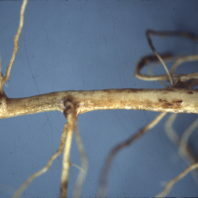 Lesions that girdle the stem near the soil surface may substantially reduce yield. 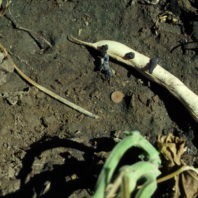 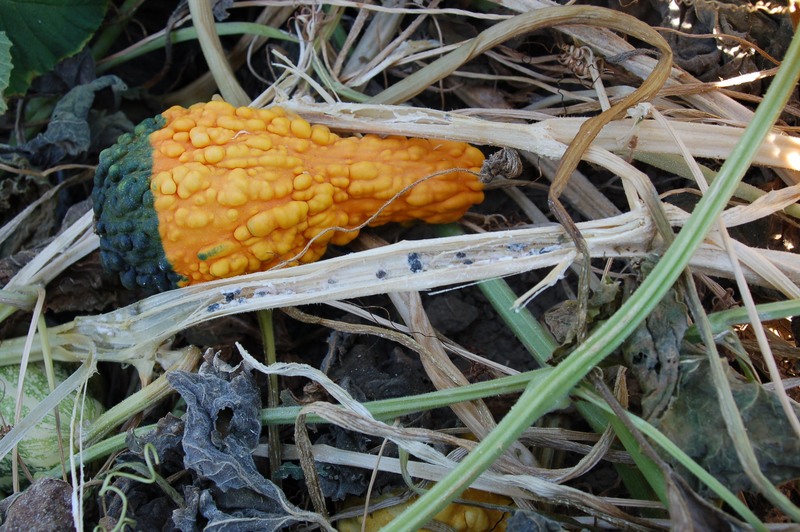 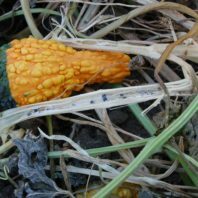 Young sclerotia of Sclerotinia sclerotiorum in stem of an ornamental squash. 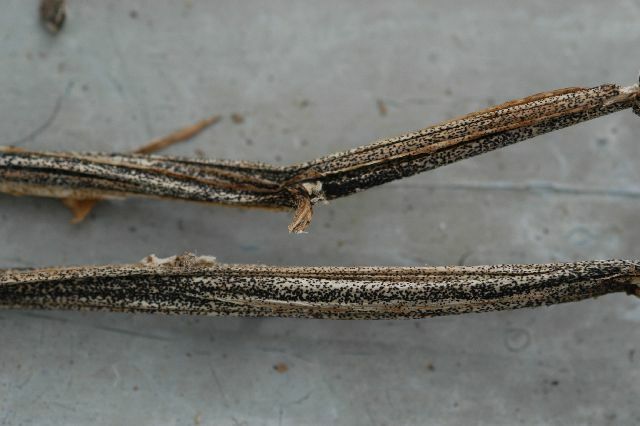 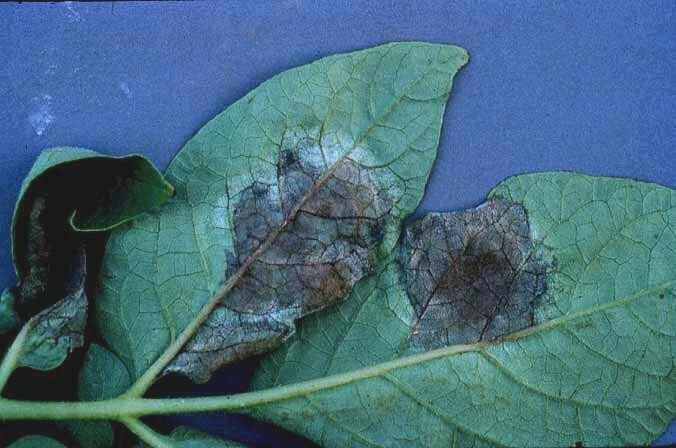 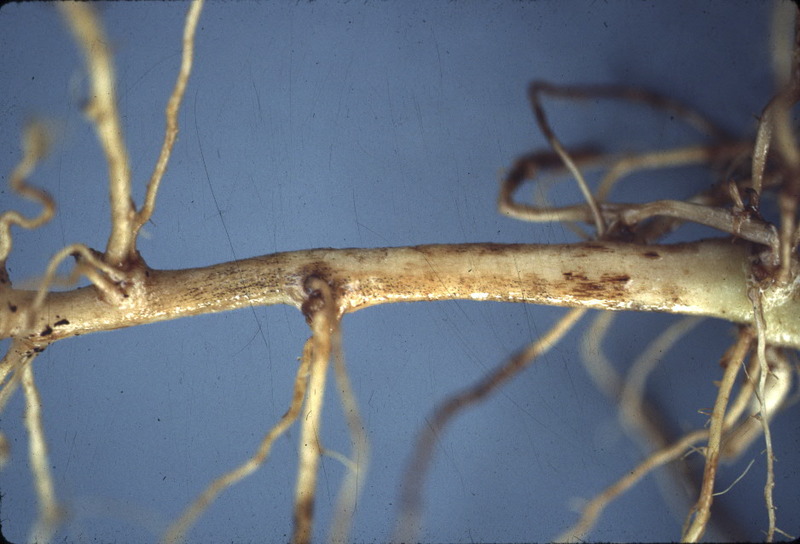 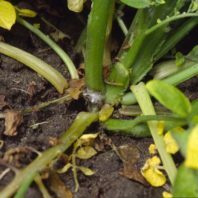 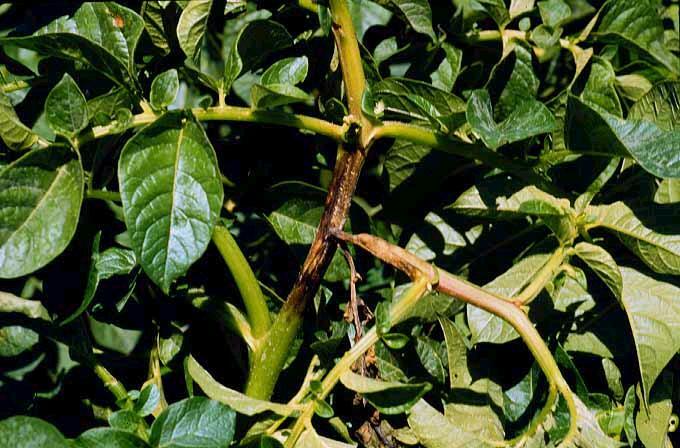 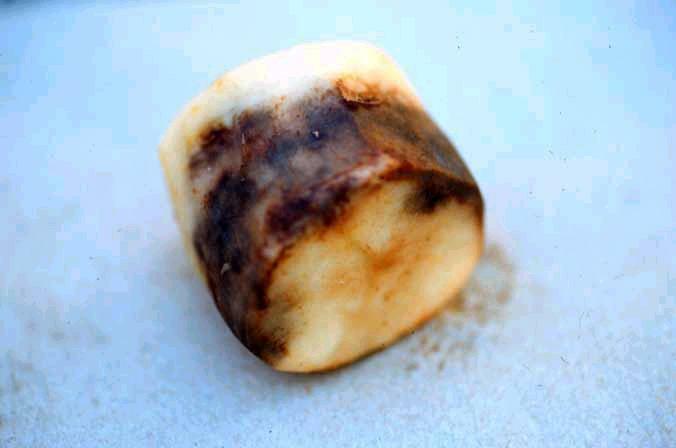 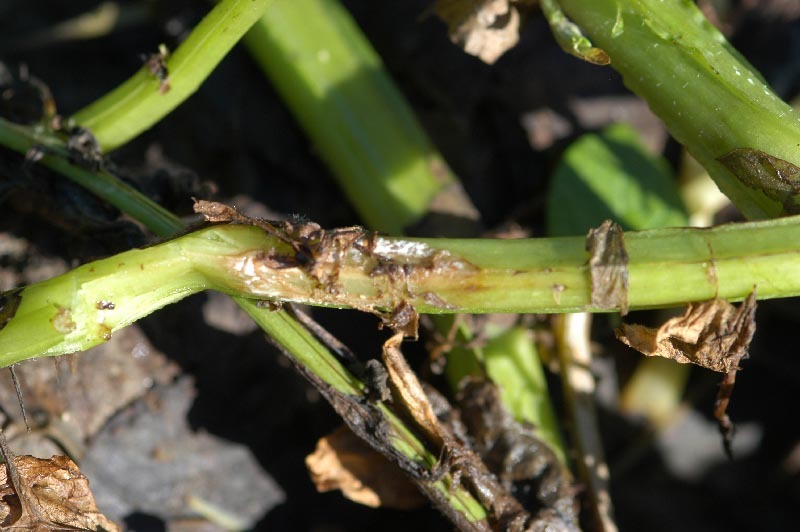 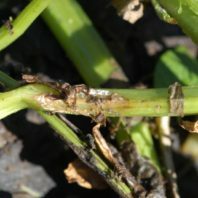 Young Sclerotinia lesion developing on a potato stem showing plant debris from which served as a substrate for ascospores to germinate, produce mycelium and infect the stem.